Southeast of Melbourne's Federation Square along Swan St by the Yarra River, Melbourne Park is home to the Australian Open, one of only four Grand Slam tennis tournaments in the world and the first to occur in any calendar year. 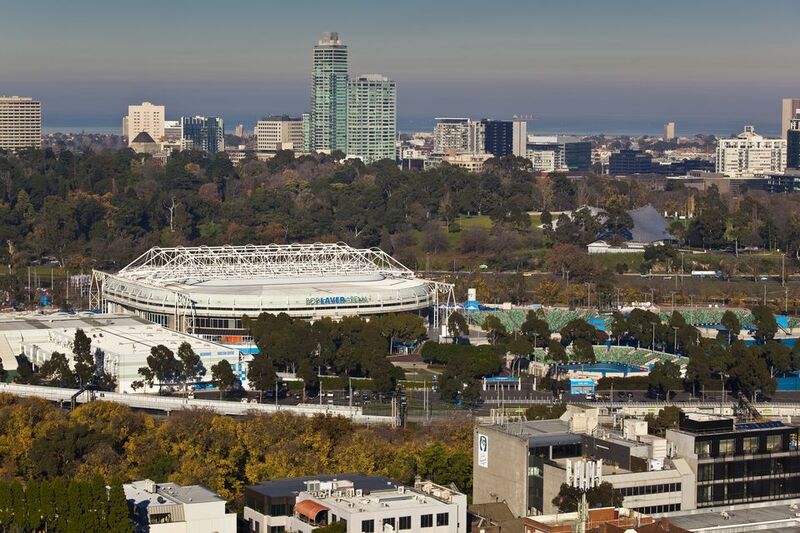 Managed by Tennis Australia, the Australian Open is played every January in Melbourne since it was decided in 1972 to hold the tournament in the same city each year. It has been played at Melbourne Park since 1988. Melbourne Park has four indoor courts and 22 outdoor courts which are available for public hire seven days a week, except during January. Its main stadium and centre court is the Rod Laver Arena, named in 2000 after Australian tennis great Rod Laver who is the only player in the history of tennis to have captured two Grand Slams (1962 and 1969) – the ultimate honor achieved by winning the Australian Open, French Open, Wimbledon and US Open singles titles in the one calendar year. Rod Laver Arena features a retractable roof and has seating for 15,000. A multi-use venue, the stadium is able to host a wide range of sporting and entertainment events, from Grand Slam tennis matches and motorbike super-cross, to rock concerts, conferences, and classical ballet. Melbourne Park is less than 1 kilometre from Melbourne central business district and is easily accessible by public transport. If taking the tram, catch tram 70 east from Flinders St and get off at Melbourne Park station. The tram shuttle service on route 70 is free to ticket or ground pass holders during the Australian Open.